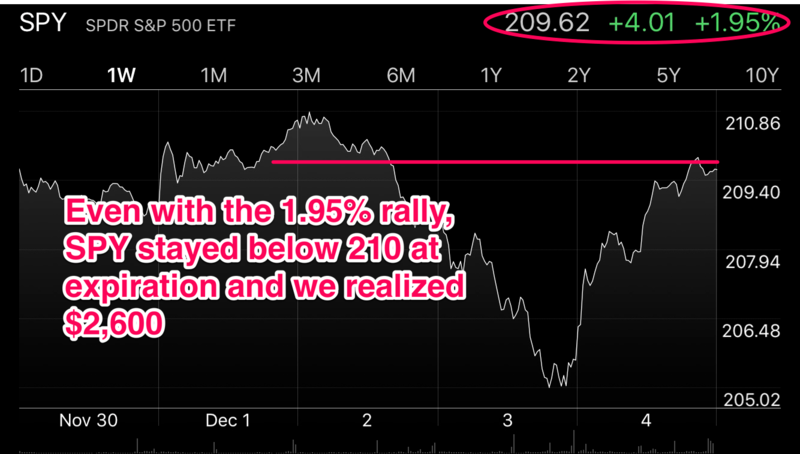 As we mentioned yesterday, as long as SPY closes below 210, we make the full $2,700. Our expectation was that the market would continue downward movement–but by 10am, it became clear that wasn’t going to happen. Instead, it attempted a dip and then ralled — that dip was a B-wave dip. Overnight we had an A-wave rise towards 2062, followed by B-wave dip to 2048 — and then once ES went over 2062 — we knew that a C-wave was forming — and that the C-wave would continue through end of the day. Our position was still up $2,600 out of a possible $2,700. Did we really want to risk all that profit just for an incremental $100 and not paying commissions? Given the risk — even though we had a lot of room, we decided to realize that $2,600 and pay the commissions to close out that trade. 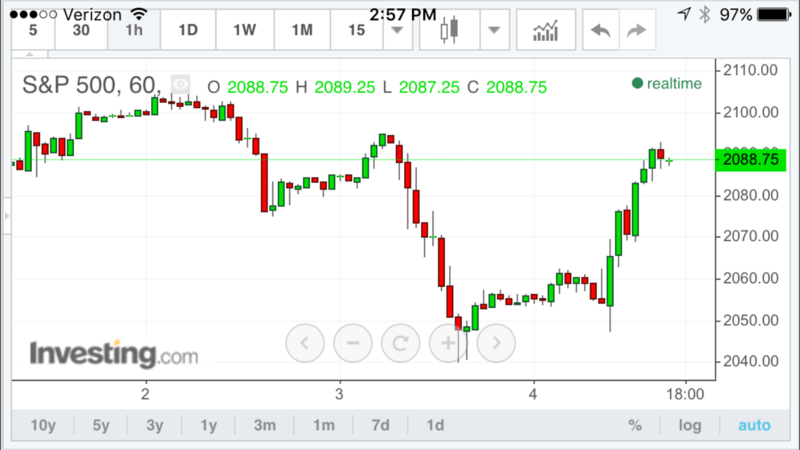 Well, it turns out SPY got as high as 209.97 (just 3 cents shy of 210) — before closing at 209.54. So if had not realized our gains, we actually would’ve made the full $2,700 — but the risk is if it closed over 210 — our gains would quickly evaporate — and we didn’t want that risk. Conclusion: We followed risk and reward and closed out for gains of $2,600. For those who weren’t able to close out their trade — you actually made more–at $2,700 – congrats to those who followed! Also, today, we sent out an alert for a new trade into next week during the day. So our next trade has already started for paid members. To see pricing of our trade alert service, go to our <a href=”http://www.lifestyletrading101.com/pricing/”>See Pricing</a> page.